Counted cross stitch design by Marc I. Saastad. 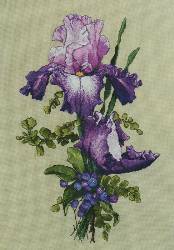 This design is stitched on Belfast Linen 32ct. Summer Khaki with a finished size of 11.1" x 17.2". Stitch count is 178 x 276.